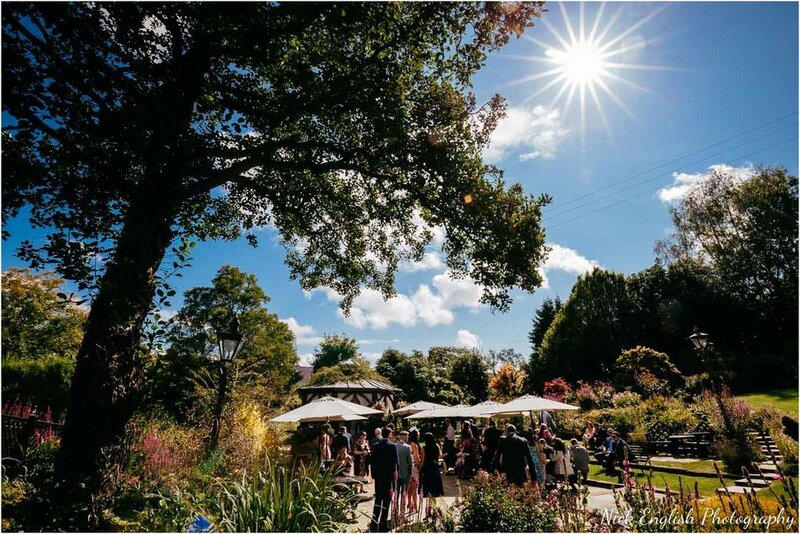 We were so lucky to be able to have an outdoor wedding ceremony – the weather was definitely on our side at The Gibbon Bridge Hotel! 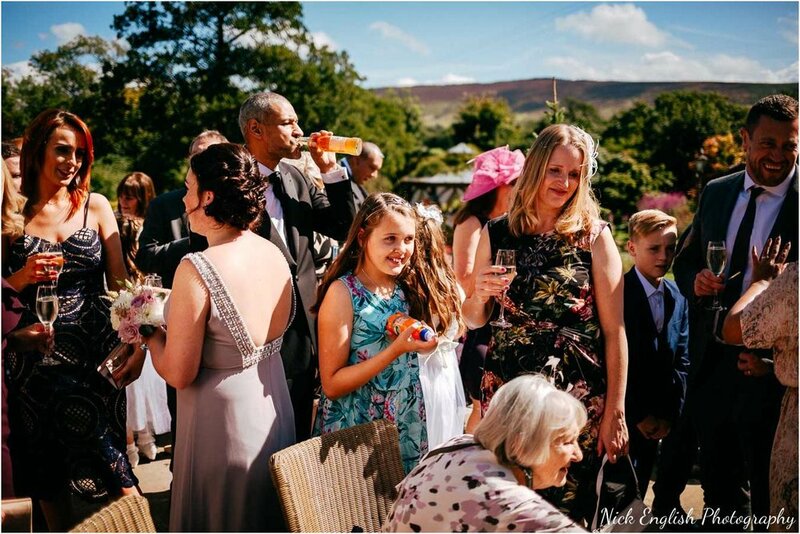 This wedding venue in Lancashire is perfectly geared ready for outdoor weddings, and as Rosie had her hair and makeup done in the morning, the weather outside was just getting better and better as the morning went on! 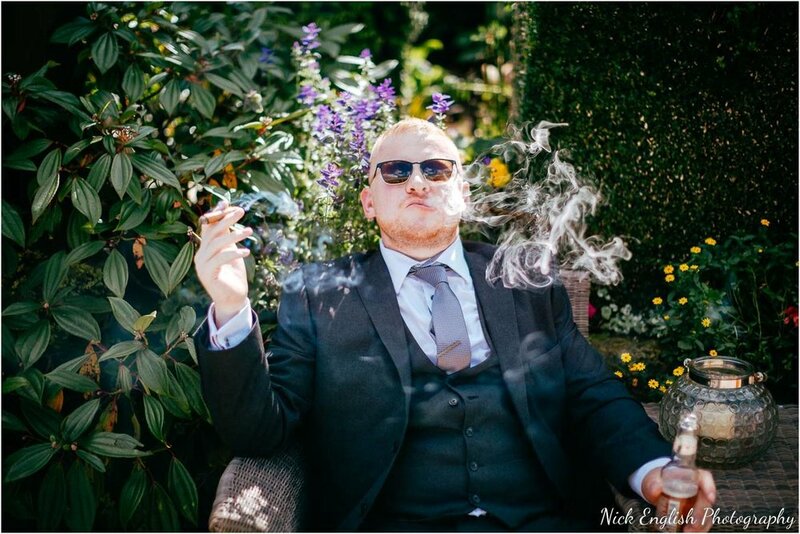 Rosie and Paul had booked me as their wedding photographer last year, and Rosie in particular liked the more laid back, un-posed approach to my wedding photography. 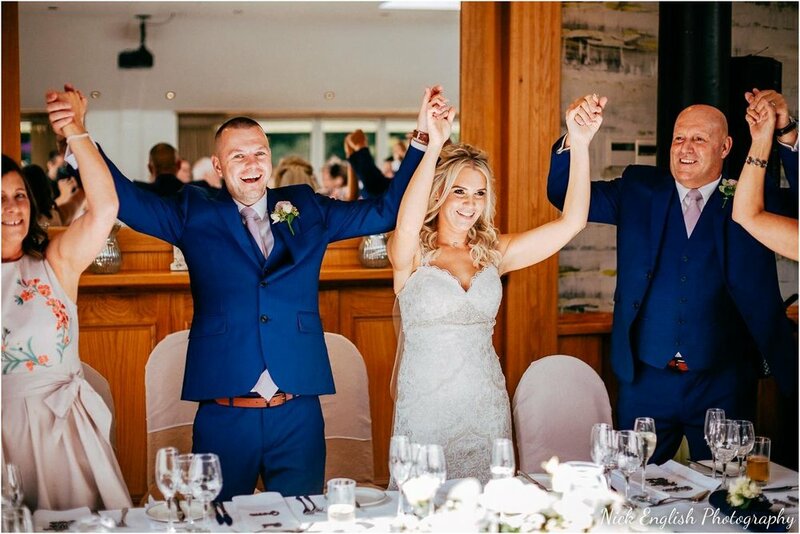 This style suited their wedding day perfectly, as everyone had such a fun day, and I was able to capture photographs of Rosie and Paul’s friends, family and guests enjoying themselves, without them needing to stand in a formation to have their photograph taken – I much prefer natural un-posed photographs. 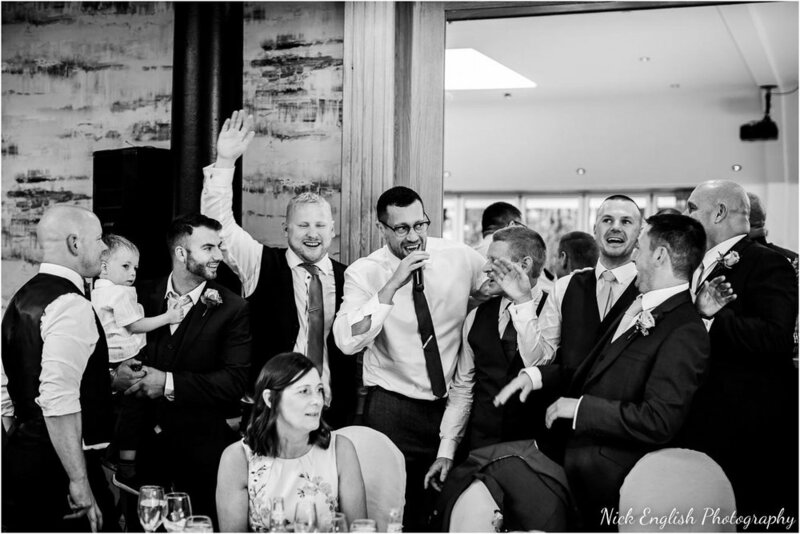 Wayne Farrow wedding entertainer was there to keep everyone laughing and smiling all day, his entertainment really got the party going before the meal – and continued into the evening. 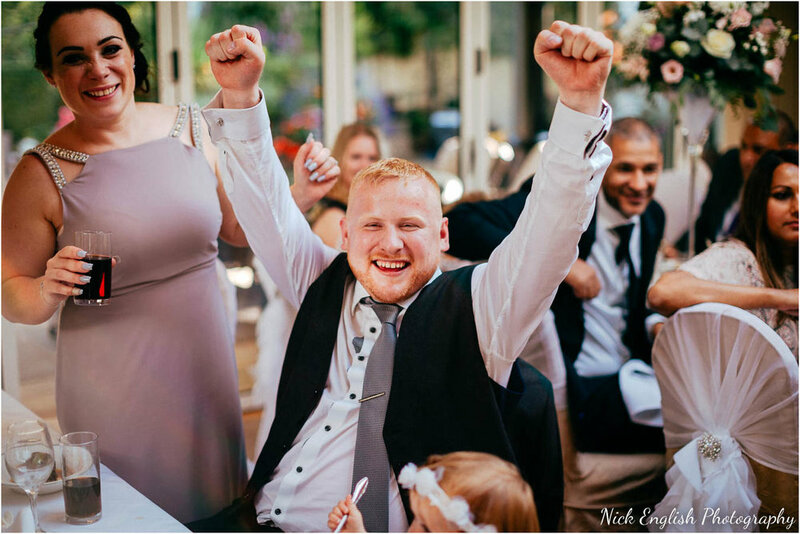 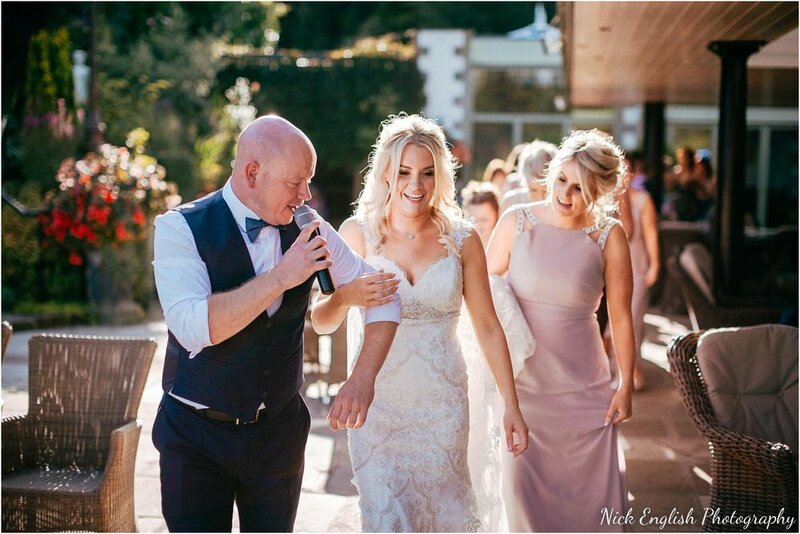 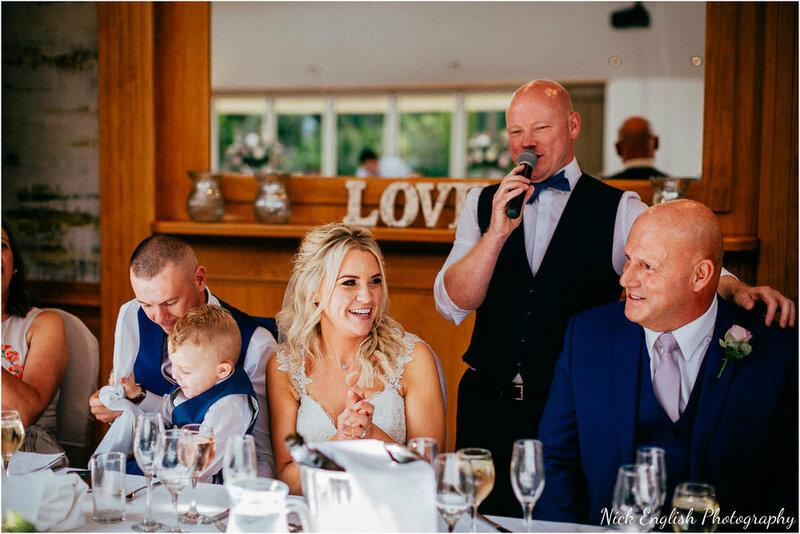 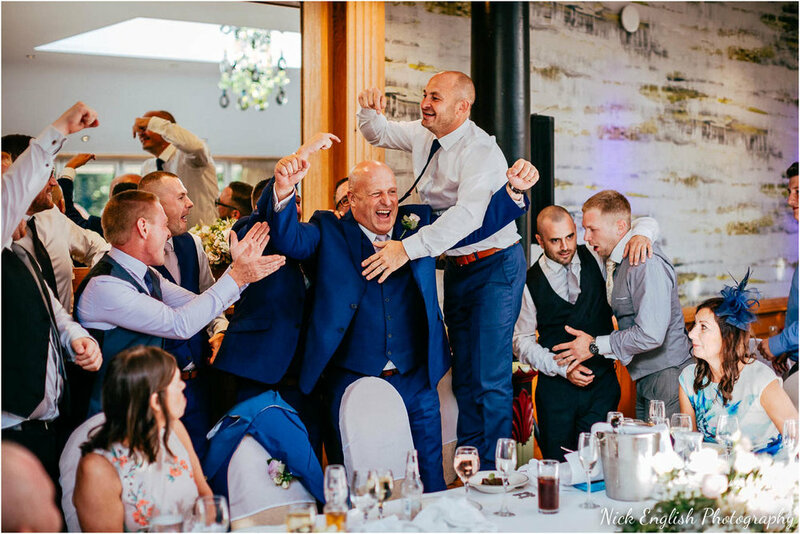 Having a wedding entertainer such as Wayne Farrow is a great way to ensure your wedding day is full of laughter and fun, and that all your guests have a fantastic day too! 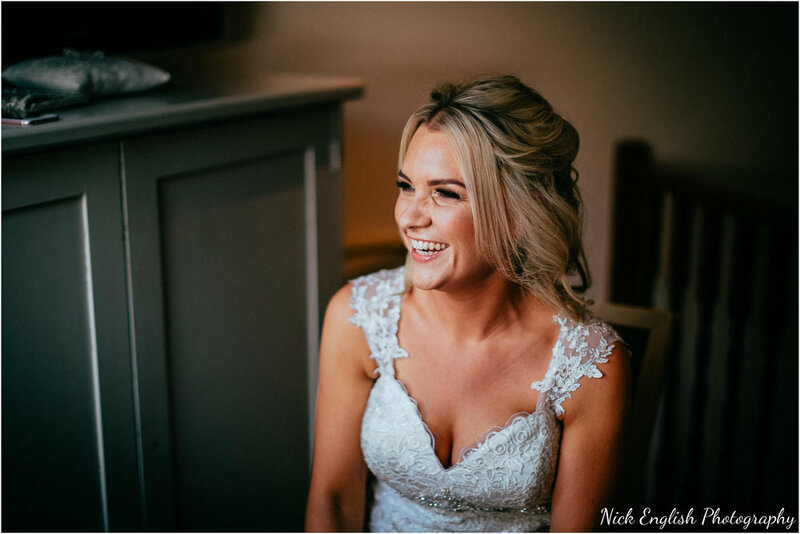 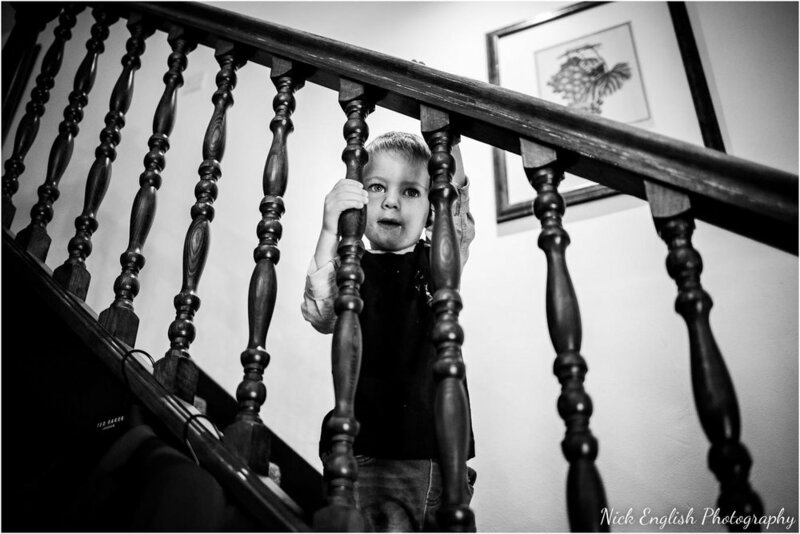 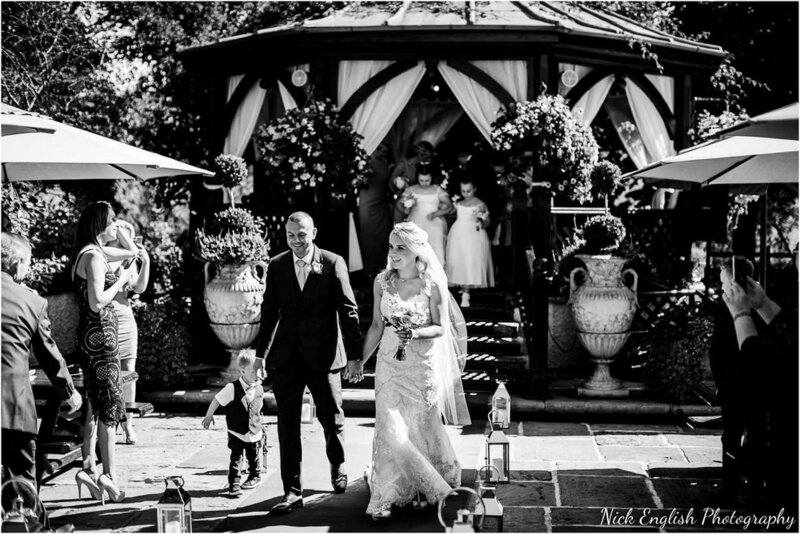 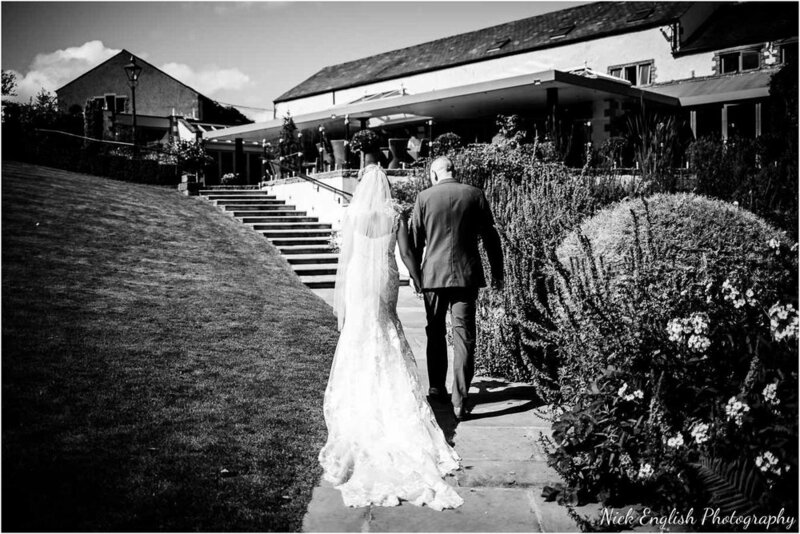 The Gibbon Bridge is a superb wedding venue to host your wedding in the Ribble Valley in Lancashire, and is a stunning place to photograph! 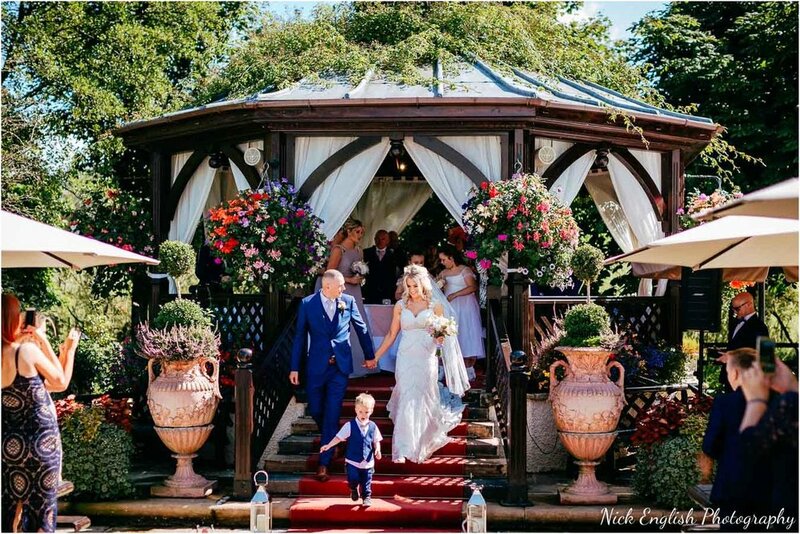 The grounds are perfectly kept, and the outdoor wedding pavilion is the perfect place to get married outdoors on a nice day! 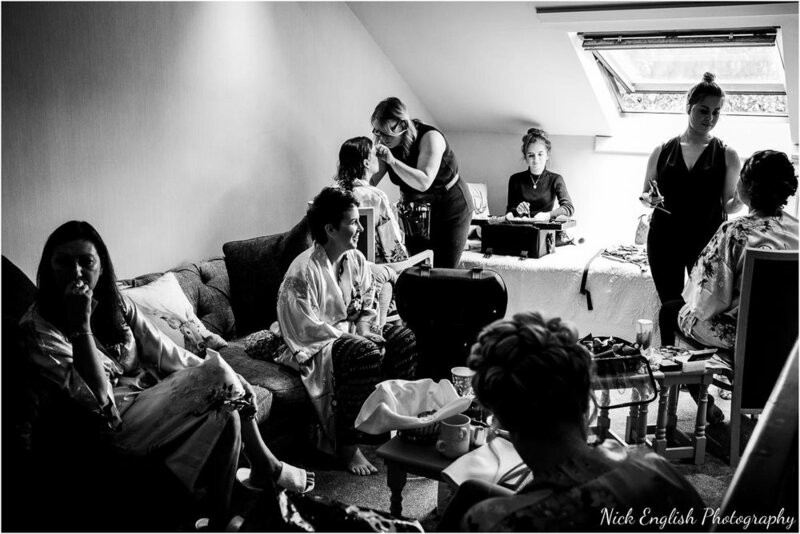 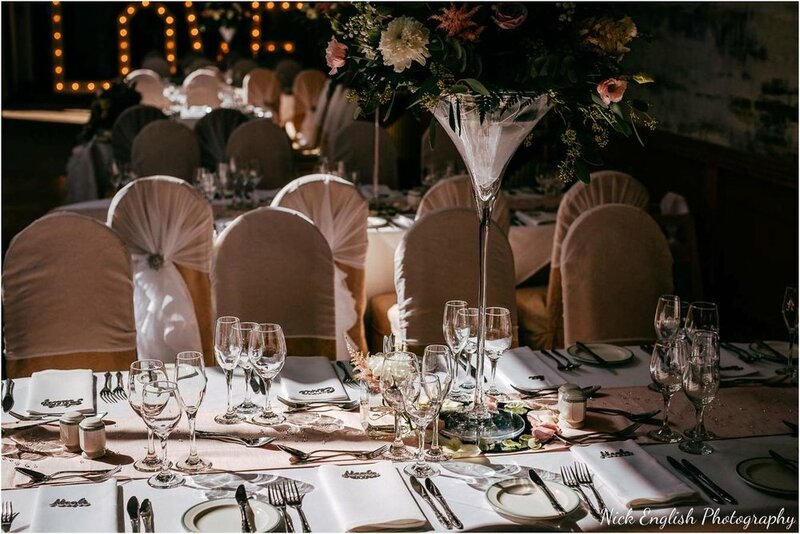 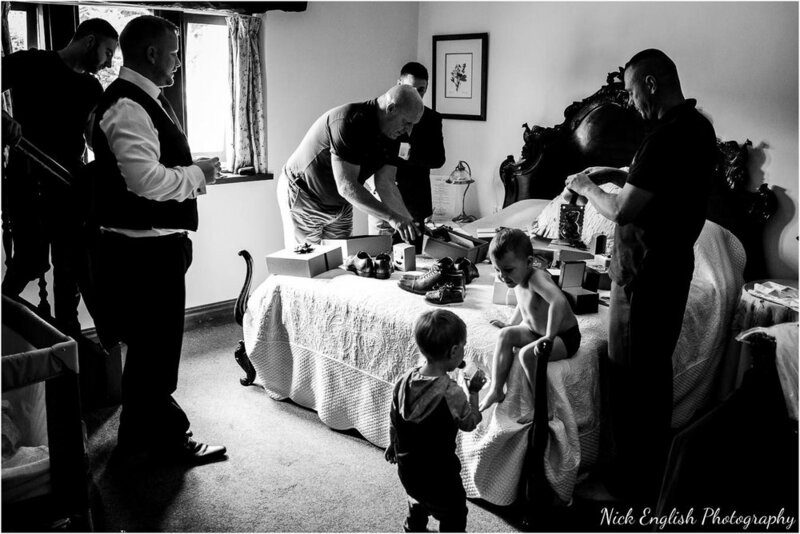 It was great to work with some of my favourite suppliers on this wedding!